With the unforgettable events of the Quickening behind them and the Ascension Year underway, all bets are off. Katharine, once the weak and feeble sister, is stronger than ever before. Arsinoe, after discovering the truth about her powers, must figure out how to make her secret talent work in her favour without anyone finding out. And Mirabella, once thought to be the strongest sister of all and the certain Queen Crowned, faces attacks like never before - ones that put those around her in danger that she can’t seem to prevent. 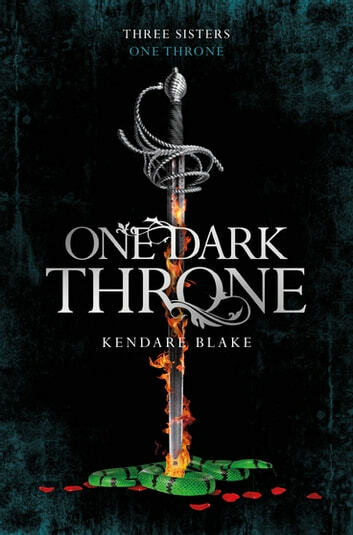 In One Dark Throne, the enthralling sequel to Kendare Blake’s *The New York Times-*bestselling Three Dark Crowns, Fennbirn’s deadliest queens must face the one thing standing in their way of the crown: each other. The island of Fennbirn is highly compelling with its layered and detailed culture. 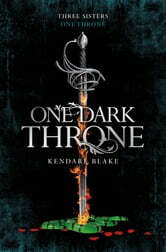 The queens are amazing, and the fractured bond between the three sisters really drives the story. Blake's writing style is smooth and easy to read. HIGHLY recommend.